Did you think acne only break out in summer? Are you surprised why you have to deal with acne even in winter? 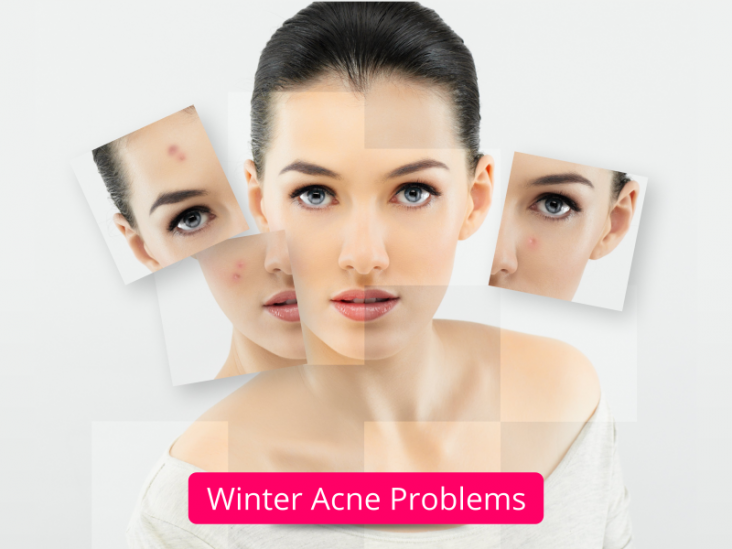 Well, there can be many possible reasons to have acne problem even in winter. The one thing that you need to take care of is to use a face cleanser which doesn’t dry out your skin and rather a hydrating one. The moist winter air can easily clog your pores with various pollutants. Cleansing and exfoliating is necessary for facial hygiene. Yes, we can’t emphasize enough on how important it is to keep your skin moisturized in winter. A common mistake most girls do is to use a moisturizer which is oil based. If you have an oily skin, you should prefer using water based moisturizer or a facial gel. However, having an oily skin doesn’t mean you can skip the moisturizing part. We at Skinology also suggest using facials or face packs which deeply nourish your skin. Fruit packs or facials are good for all skin types. Of course you need to exfoliate your skin in winter as well but excessive exfoliation can drain the essential oils from your skin and make it dry. Too much dryness can be a reason for winter breakouts. Just because it’s winter, you can’t skip your morning routine. It might seem to be a great effort to wake and go for a walk in the cold outside, so what? You can exercise indoors, maybe you can do yoga or dance. However, staying indoors all the time isn’t advisable because if you take in refreshing morning air it will rejuvenate your skin and keep winter breakouts away from you. Small things/changes make all the difference. Do not take long hot showers; you can rather use lukewarm water. Do not use oily cosmetics or skin care products. Strong perfumes or products with pungent fragrances shall be avoided as it can cause skin irritation. Do not pick on acne. Do let us know if these tips were helpful to prevent or reduce acne this winter. Write us at info@skinology.in. Which moisturiser will work best for your skin type? Moisturisers are extremely essential during winters for keeping your skin soft and hydrated. The chief function of moisturisers is to ensure that the outermost layer of your skin can hold water to prevent the skin from becoming dry and charred. But, any moisturiser you choose randomly might not be effective for your skin. For making the most of your moisturiser choose one that is suitable for your specific skin type. 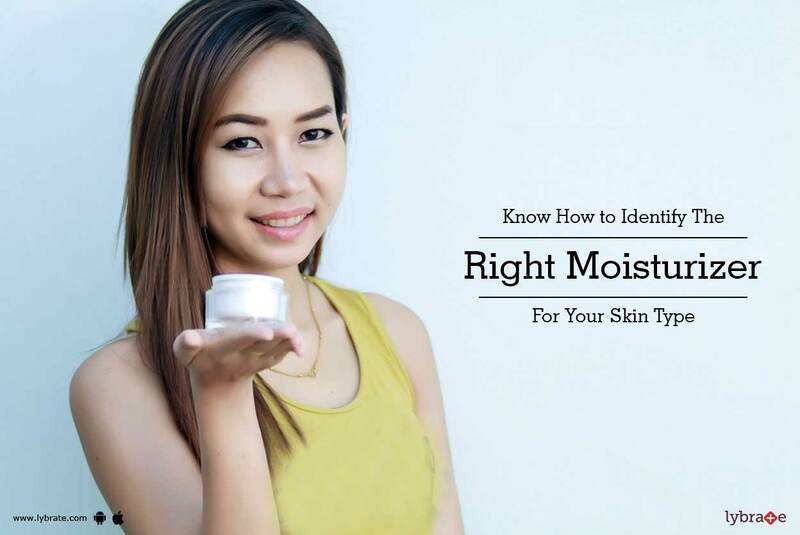 Read on to find about the correct type of moisturisers required for each skin type. Dry skin becomes even drier during the winters and requires a heavier, oil-based moisturiser with hydrating ingredients to remain soft. Additionally, if your skin is too dry or cracked, using products containing mineral jellies like petroleum jelly will be beneficial. This is because these products are known to minimise evaporation of moisture from your skin. Acne and breakouts mostly occur on the oily skin, so it will be best to choose a light, water-based moisturiser if you have this type of skin. Moreover, try to opt for a product that is non-comedogenic in nature, which will ensure that you do not get clogged pores due to the moisturiser. Normal skin can be characterised by perfect natural oil balance and an even tone. For keeping your skin soft you need to keep this natural balance intact, which can be done by using a water-based product containing lightweight oils or ingredients derived from silicon. Additionally, ensure that your moisturiser gives your skin a light non-greasy feel. Sensitive skin is generally prone to skin irritations, itching, redness and rashes. If you have sensitive skin, then look for a moisturiser that contains ingredients known for generating a soothing effect like chamomile or aloe. Moreover, ensure that the product is free from potential allergens like fragrances or dyes and acids to prevent side effects such as skin irritation. Combination skin is the toughest type of skin to maintain. People with this type of skin have an oily t-zone consisting of the nose, chin and forehead along with the cheeks having dry skin. To keep combination skin hydrated you need to use a heavy moisturiser on the cheeks and an oil-free water-based product on the t-zone. 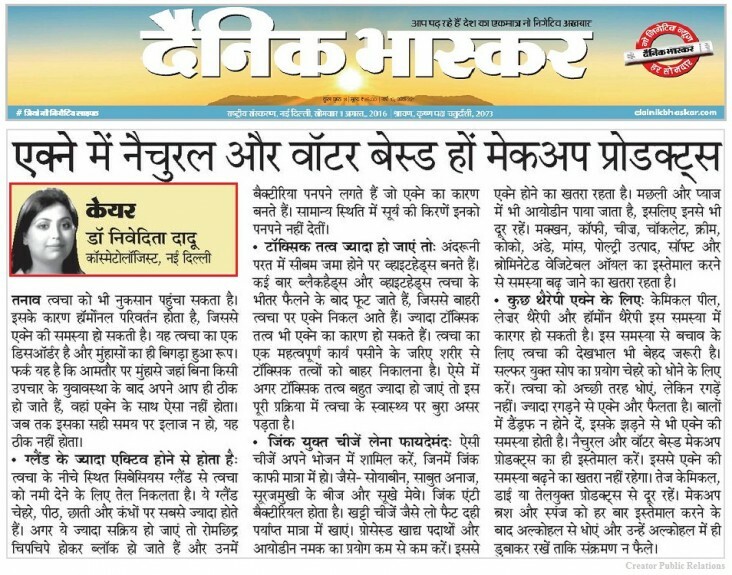 Dr. Nivedita Dadu talks about the issues related with acne at several ages, looking into the habits that lead to breakouts. She also gives details of the do’s and don’ts for acne, provides a list of foods that must be avoided to further worsen the situation, and a list of foods that would help control the breakouts. As suggested by her, a healthy and clean lifestyle is the best way to maintain an acne free life! Face skin problems can happen at any age and influence a wide assortment of various individuals. Skin break out, age spots, acne, substantial pores, and wrinkles are the most well-known Face skin problems however there are other facial conditions that can be bothersome. Sometimes changes in your skin happen all of a sudden, yet different issues can create over long period of time. Great and healthy skin practices can avert numerous face skin problems, and should begin at a very early age. As you age, a great skin health management regimen will permit you to keep up firm, smooth, and solid skin. Maturing and sun presentation take a toll on your skin’s appearance. Some face skin issues are the aftereffect of hereditary qualities, infections, or diseases. More genuine face skin issues should be dealt with by a dermatologist, yet a few blemishes can be dealt with successfully at home. A standout amongst the most widely recognized face skin problems for young people is acne, an alarming skin condition that can influence certainty and self-regard. 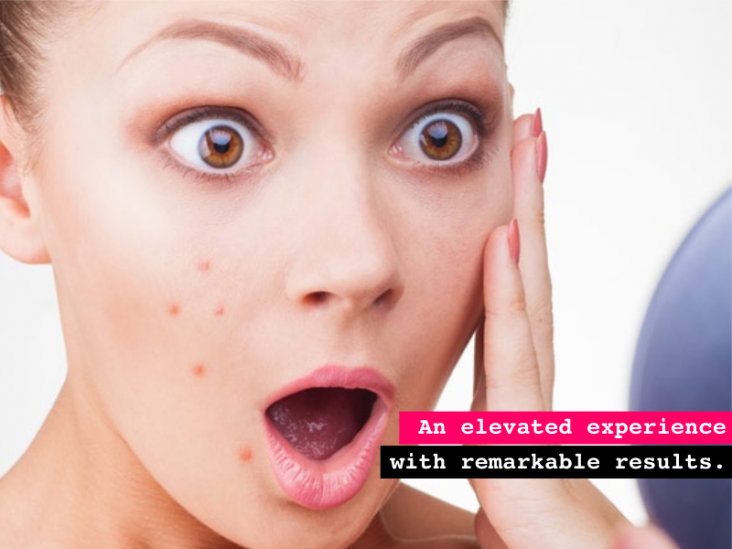 Despite the fact that acne is not unsafe to well being and will more often than not leave after time, moderate to extreme skin inflammation can leave scars. Hyper pigmentation alludes to earthy patches that show up on the skin as a consequence of skin inflammation. The condition can be compounded either sun harm or hereditary qualities. These patches look like substantial spots and typically show up on the face, neck, hands, feet or legs. Despite the fact that they are not harmful, numerous individuals wish to have these face skin problem uprooted for restorative reasons. Pores are the little openings in the surface of the skin through which saturating oils are discharged. At the point when pores on the face are sufficiently vast to be noticeable, they can bring about dissatisfaction and also face skin issues. To some degree, pore size is genetic, yet pores additionally seem bigger when they contain caught oil and skin cells. Described by facial redness and swelling, rosacea is a face skin problem that can show up at any age. Rosacea for the most part grows gradually at to start with, seeming occasionally as a facial flush. The condition exacerbates after some time and seldom determines all alone. A scar is a territory of skin that is alternate shading or composition from encompassing skin those outcomes after harm recuperates. Although most scars blur after some time, certain sorts and those that happen in detectable ranges might stay evident for a lifetime. Scars are restorative face skin issues that don’t require therapeutic treatment; however their vicinity can be baffling. Obscured skin underneath the eyes is a typical face skin problem brought about by components, for example, heredity, absence of rest, hypersensitivities, eating regimen, and sun introduction. Wrinkles and lines on the skin are among the most widely recognized face skin problem for ladies and men as they age. Lines and wrinkles show up where skin actually overlays and wrinkles, turning out to be more perpetual over the long haul. Sun introduction, smoking, and great eating less carbs can rush this impact, making skin look more seasoned than it is. A restorative dermatologist can recommend proficient healthy skin and perform a wide assortment of extremely compelling methodology to smooth and revive skin. If you see signs that your acne is leaving a scar on your skin, you don’t have to grin and bear it. There are lots of ways to heal your scars and keep new ones from forming. Contact Skinology experts to heal your acne and acne scars. What a lovey human being and a great doctor she is. Met her 2 years ago and every time I see her it feels as if we have so many common things to discuss about except my skin issues. She has been the most kind among almost all my friend come doctors who have not just given enough time but mostly taken up my issues as their own responsibility. Consider this please as a genuine and an honest review. I am being treated for my Urticaria and have also been trying a couple of their therapeutic treatments which have given me a beautiful skin tone. Shimmery shimmery me, keeps me happy. Thank you very much. May you and your family always be happy. I love taking care of my skin and religiously follow CTM routine but aging happens to all of us. I started seeing some wrinkles around my eyes and I freaked out. I was not ready for it. I know a lot of people would say that's natural but to many of us looks do matter. Coming to the point I started anti aging treatments from Dr Nivedita almost a year ago and I'm really happy with the results. Even my skin texture has improved. She has some amazing treatments for skin glow as well. You must meet her if you have any skin concerns believe me you are gonna be happy about it. Best doctor good rates and i feel she is also close to god . Thanks doc for excellent treatment i am really grateful and so is my wife wish there are more doctors like you. I am editing and putting this feedback again basis the forth visit and amazing Behaviour of the staff. Love the team. For the people who compare this with a Beauty clinic and other big cosmetic set ups this is not your place. This is a doctor's clinic and has therapeutic treatments offered only if required . I am putting this thought as we mistook it for another cosmetic clinic where we just came for a laser treatment but this is much more than that . After one of my friend's recommendation I've visited the clinic for Laser Beard shaping (I'm obsessed with my beard) and got to know about shaping of my beard in a way I desire! So, cutting it short consultancy - full marks treatment - full marks hospitality - full marks professionalism - full marks and the most important thing results - 10 out of 10 (full marks).... simply just the way I wanted... Kudos Dr. Dadu and you're team. Disclaimer: The content on this website (www.skinology.in) is solely for the purpose of educating and creating awareness about the domain i.e. Dermatology. This shall not be treated as a substitute to a professional dermatologist's advice or prescription. There is no guarantee of specific results and the results for any treatment mentioned on the website may vary, as every individual and their skin conditions are different.